Bodhidharma is een legendarisch figuur in Shaolin kungfu. 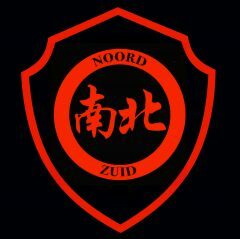 Hij wordt gezien als de voorvader van het Shaolin Kungfu en degene die het Chan (Japans: Zen) boeddhisme naar China bracht. Een aantal jaar geleden heb ik onderstaand stuk geschreven. Bodhidharma (483 – 532 ) (Puti Damo in Chinese, often just Damo) visited the temple in the sixth century. His teachings based on meditation and yoga formed the basis of a new Buddhist philosophy named Chan, famous worldwide under the Japanese name of Zen. He taught the monks breathing and physical exercises so that they better handle the strict religious life they were leading. Monks were sitting still for long periods of time, because of this their bodies were in bad shape. The exercises Damo taught them can be seen as the fundaments of the martial arts, for which the Shaolin temple grew to be famous for. Damo was a mysterious figure, both in the world of martial arts as the Buddhist world. Many Zen sects in Japan, where his name is written as Bodai Daruma: Daruma, see in him the patriarch, but at the same time others ignore him totally. His roll in the martial arts is even more mysterious. He was never recognized as a formal leader of the Shaolin temple, but his influence is big and he is always directly affiliated with the temple. According to legend was he the son of the King of Kanicipura (Xing Chi) of a small tribe from the South of India. He was born around the year 483 and died between the years 526 and 536. Some sources call him Bodhitara or Tarabodhi, but his most common full name is Bodhidharma Sardili. He was born in times of turmoil, this was the case as well as in India as in China. At that time India was attacked by the Huns from the North and loitered the country. Born in this time and being a member of a royal family he had to have had a military education and training on order to one day succeed his father. He was probably a member of the Ksatryas (military) caste. If he really was a member of that caste then he must have been trained in the Indian martial art of Kalaripayat. The area he was born in is especially know for its martial arts. Kalaripayat includes techniques for armed as well unarmed combat. Despite this, or maybe because of this, he came in contact with Buddhism and became a pupil of teacher Prajnatara, and from that moment on he followed the Buddhist Sarvastivada (Existential Reality). Prajnatara was the 27th Buddha after Mahakasyapa, the first disciple of Sakyamuni Buddha. Prajnatara was a teacher of the Sarvastivada school, this was a of the proto-Mahayana schools that emerged from the Deravada school. It propagated ideas that differentiated from the other schools, for example ideas about: essence of being, the elements, what did and what didn’t caused karmic activity and other interesting problems. Bodhidharma received his name from his teacher and was send to China by him. Maybe to succeed or assist the well known Bodhiruci, who lived in the same time period as Damo. Because Buddhism came from India, that country was, according to the Chinese, the spiritual center of the world. Many of the Chinese Emperors send priests to India to study and take back religious books. They also invited Indian priests to come to China to preach. The whole Chinese society and law were based on Buddhist beliefs. At the time that Damo came to China, (people say 527 n.Chr., however this was only 3 years before his probable year of death) Buddhism was already very popular. Emperor Wu Di (Emperor 502 – 549, Liang Dynasty 502 – 557) was a fanatical Buddhist. He had already found and invited other Buddhist teachers. The second answer flabbergasted the emperor as well, and he desperately asked him he who he thought who he was. Damo’s answer was: ‘I’ve got no idea whatsoever’, after which the conversation ended. Damo excused himself and left. He knew that this emperor wouldn’t support his interpretation of Buddhism and left for Luoyang, which was at that time the Buddhist center of China. Damo at the Shaolin temple. After all this he arrived at the Shaolin temple, which isn’t far from Luoyang. Supposedly he arrived at Shaolin between 520 and 527. After Buddhabhadra , Bodhidharma is the second important Indian that went the Shaolin temple. He stayed there nine year and introduced the Indian Buddhist therapeutic movements and exercises (Raja Yoga and Prajna Yoga), which would later be used as the basis on which martial arts were going to be developed. Legends tells us that Damo sat in meditation for nine years to listen to the ‘screaming of the ants’. Because of this long period of meditation in China he is also known as ‘Holy man facing the wall’. The nine years of mediation were spend in a cave, near the Shaolin temple. The cave can still be visited; a walk there will take about 2 hours. The cave is simply know as ‘Damo Tong’, which means Damo’s cave. Because he spend such a long time in the cave his shadow was ‘engraved’ in a rock, so they say. The rock was later removed from the cave and taken to the Shaolin temple where it is displayed in the Guanyin Dian. Once he fell asleep while meditating. He was so angry over this that he cut his eyelids and threw them on the floor. From his eyelids grew a tea plant, which the monks until this day use to keep awake during meditation. In the nine years that he stayed in the temple, he taught his disciple Hui Ke Buddhism according his views and created in doing so the Mahayana school of Buddhism in China. He noted down his vision in the Lankavatara sutra and left the temple. What happened with Damo after this is unclear. Some say he was poisoned (in Shaolin) by a jealous monk, others say that he travelled to central Asia, and some say that he even travelled to Japan. The most frequently heard story is that he died on the banks of the Luohe river at the age of 150,after being poisoned for several times. He was buried on Xiong’ershan (Bear’s ear hill), where now stands a small nunnery. Three years after his death Song Yun, a lay Buddhist, met Damo in the mountains of Turkestan (Cong Ling), while returning to China after doing business in the West for the Chinese empire. Damo was wearing only one shoe. Song asked Damo were he was going, his answer was: ‘To the Western Paradise’ (meaning India). Damo also said the that Emperor of China just died. By the time Song arrived in Luoyang he heard that the Emperor indeed had died. He told his story to the new Emperor, who ordered that Damo’s grave was to be opened. Besides one shoe, the grave was empty. It was taken out of the grave and brought to Shaolin temple were is was kept as a holy object. Since that time, Damo can be seen on pictures and paintings wearing only one shoe. Chinese shoemakers adopted Damo as their patron and every year celebrate his birthday. During his time in China Damo didn’t attract much attention; the first records mentioning him date from one hundred later (Further levensbeschrijvingen of Vooraanstaene Priests : +/- 645). In this work he is only mentioned as a meditating monk. Later on stories became more and more fantastic, and in the end he was elevated to the post of first patriarch of Chan Buddhism. The masters of later periods needed a heritage, and Damo was used for this role. The problem with Damo is that many of his teachings were sometimes contradictory to the later Chan teachings. For example relying on sutras. The Lankavatara sutra emphasized meditation, but the master of later periods were totally against this. Jesuit scholar Heinrich Dumoulin said that Damo’s teachings differ in nothing from what is preached in the Mahayana sutra’s. The Buddhism that Bodhidharma practiced differs in a large degree from the Buddhism that Buddhabhadra preached. It became known as Chan or Dhyana, which in Sanskrit means ‘getting rid of distracting thoughts’. Buddhists from that time period always contributed great value to the Buddhist doctrines, the sutra’s, which they recited endlessly. According to Buddhist scriptures, Buddhists must bind themselves to Buddhist doctrines, chant Buddhist scriptures and always relieve themselves from worldly attractions. 5. Under the influence of Taoism, Chan masters dissociated themselves from the Indian independence of holy scriptures, liturgy, sacred objects and speculative theology. Their path to enlightenment is direct, concrete and practical, consequently their use of language is never abstract but normal everyday language. Damo left four volumes of Lengjia Scriptures to his disciples. The Dhyana it preached was a reformation on the old Chan prevailing in Northern China. As soon as it emerged, it met all kinds of slanders, even bodily persecution. However there were people, though few in number, who believed in it, among them were Hui Ke and Dao Yu. Damo was moved by their fidelity and taught them how to face the wall with pure mind. Later on he passed his cassock and alms bowl to Hui Ke. Since present Chan doesn’t rely on holy scriptures, holy portraits or even Buddha himself, some people wonder whether Chan has anything left to do with Buddhism. Chan masters claim that they are Buddhists, and that they pursue enlightenment and that scriptures, portraits, ritual actions etc. are only means to an end, but that they in no way present enlightenment itself. And because they understand this, they say that they are the only true Buddhists. It is said that Damo wrote the two following manuscripts: The Yi Jin Jing and the Xi Sui Jing. Inside the Yi Jin Jing one can find 18 exercises of Luohan. These three are called the three jewels of Damo. There is no way of verifying if Damo really did write these manuscripts, because the versions that exist today all come from later periods. Especially the Yi Jin Jing is contributed to Damo. More important is influence of both manuscripts on the Martial Arts. The exercises noted, in detail, in these books are static and rhythmical postures. If one would really assume that Damo introduced these exercise to the Shaolin Temple, even then they are far removed from the Martial Arts exercises. The Yi Jin Jing taught the monks to maintain they health and to change their bodies from weak to strong. These exercises were later combined with fighting techniques, which consequently became more effective. The Yi Jin Jing has had a big influence on Shaolin. Many ways of hardening different body parts are derived from the Yi Jin Jing, like Iron Palm, Iron Body and Iron Head. In fact, all body parts could be conditioned and even up to present day this is still being done. Also in the Yi Jin Jing are the 18 exercises of Luohan, also called 18 Fist techniques of Luohan. According to legend Damo came up with these movements after he saw that the monks of the temple were in bad physical condition. This was partly caused by long hours of (Chan) meditation. The exercises loosened their joints and eventually improved their heaths. Trough long term practice and constant enrichment, a complicated series of martial arts came into being. This is a popular explanation as to the rise of the Shaolin martial arts. The name ‘Luohan’ is a well known one in common Buddhism and the martial arts. Luohan comes from the Sanskriet Arhat. The Chinese transformed this name via A Luo Han to Luohan. In Japan the same Chinese characters are pronounced as Rakan. Luohan (Kung Fu) is being looked on as the basis and the beginning of the actual development of the martial arts within the temple. Later the name Luohan was used for other series of movements and sometimes a style got the name Luohan. In Indian Buddhism, a Luohan is a person who aims his daily life on reaching Nirvana, without special concern for his environment. This in contrast with a Bodhisatva, who gives up Nirvana to help others achieve enlightenment. In Chinese Buddhism, a Luohan is a monks that reached enlightenment, but hasn’t entered Nirvana in order to help others in this world. In China the first 16 disciples are regarded as Luohan. Beside the 16 there are 2 others who are looked upon as Luohan; they are the first 2 disciples of Damo. Altogether there are 18 Luohan. The number 18 is a important number in Buddhism because the number 9 is a magical one. Within Buddhism and martial arts many numbers are multiples of 9: 18, 36,57 and very often 108. The name Luohan can not be separated from Buddhism and the Shaolin temple in particular. This is also the reason why there are who use Luohan for the name of their martial art, sometimes with and sometimes not in combination of Shaolin. Often Luohan and Shaolin are synonyms and therefore interchangeable. The Xi Sui Jing is said to teach the monk how to purify their bone marrow and blood, enhance their immune system and make better use of their brain capacity, which would help them achieve Buddhahood. Especially the last usage was and still is surrounded with much mystery. The two classics were caused a revolution among the Chinese Buddhists and as with many revolutionary ideas it found a lot of resistance, in this case from the traditional Buddhists. Because of the training methods of Damo, this Buddhist school separated from the traditionalists. However The methods of Damo were kept inside the Buddhist society, but even so, the traditionalists refused to use them. The most important reason for not using them was that most monks believe that the physical body is not as important as the mental part of the body. They believe that the mental part is the part you need to develop in order to enter Nirvana, so why would you spend time on training the psychical part? Another important reason is that the exercises in the Shaolin temple were used to develop martial arts. Many monks were of the opinion that all exercises with the aim of injuring or killing people were by definition evil.